Changed Status to Dismissed Oh and sinful, i could have just said appreal denied instead of quote 'barking my powers at you but we dont opperate like that'. Serously dude, your attitude stinks worse then cow dung. I have no idea who this dog was........... but I am assuming its the "bork bork" dog? Hi Sloth, The ban was a good 6 months ago. I do remember you. You said some rather stupid things and were rather offensive to the EGC community as a whole. We do believe in second chances and since a fair amount of time has passed I will also be happy to give you a second go. If you really have changed then this is your time to show it. Don't let us down. I have trolled many scammers over the years, it's pretty satisfying actually. Cheers for the heads up dan. Ive seen this before. There is rarely reason to trade with a middleman and 95% of the time it will be a scam attempt. If you ever require a middleman for a trade, come to the EGC servers and use one of our awsome admins ? Searing plasma in high mid tier makes sence but vivid plasma should be in the high tier. List seams pritty good otherwise. What Is Everybody Currently Listening To? Doesnt the stats site for individual users chat feed, keep chatlogs way longer then a month? I usually just use this indtead of server chat if its for appeals. I furnished an entire house from a combo of salvo stores and bulk rubbish back in 2007. Its amazing what sort of things people throw away. Lol. Investing in AMD = flushing money down toilet. I can imagine shares in a technology company would be pritty good aswell. Oil is low and will shoot up if a new middle eastern conflict occurs. Many possabilities but allanon is right about gold. It just requires a fair amount of money to get started tho. Cats are snobs. Dogs are true friends. After reading Jack's chat logs, it seams clear the guy doesn't know self control. Constantly spamming chat aswell as begs for items. I will speak with jack and ask him to tone it down. Further action will be taken if he does not improve. nahh i got in within 20 mins but I kindly decided to decline and delete my post so others have the chance. Playing Music on EGC Servers. I believe I know how this all started. The new voip system makes streaming music to easy. 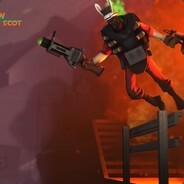 One of the most toxic 2fort all-talk servers i know has disabled mic because of this (that is saying something) I will have a chat to the community members i believe responsible.